Mark your calendar for this environmental art show in Philadelphia! 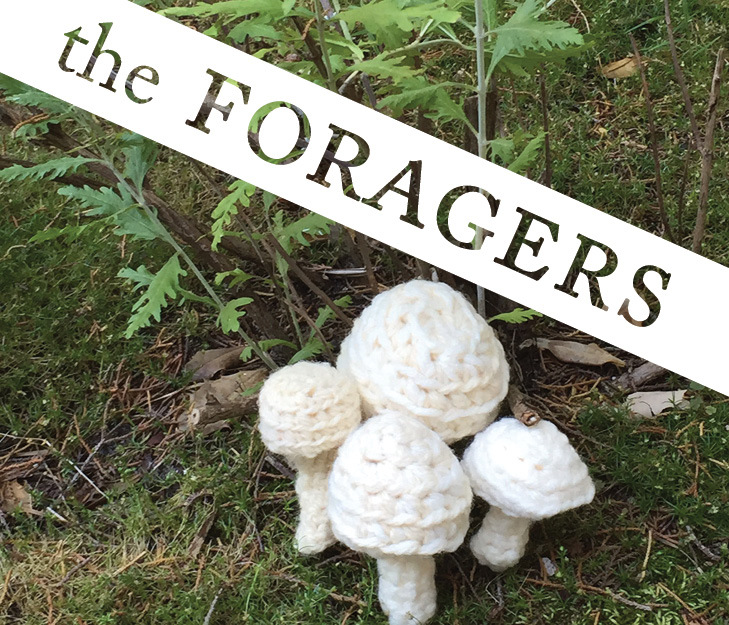 We recently received an e-mail from Anna Lehr Mueser at the Schuylkill Center for Environmental Education in Philadelphia about their upcoming environmental art gallery show entitled The Foragers - an exploration of wild mushrooms in photography and crochet. What a splendid way to start the year: Melt-in-your-mouth Sandies with a couple of flavor twists! We've been savoring this recipe ever since we saw it in the Fall issue of Fred Meyer's Live Naturally magazine. The combination of powdered chanterelles in the cookies and the sprinkling of truffle salt on the tops seems like a festive way to ring in the New Year! 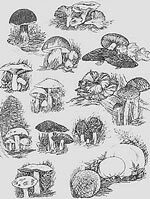 As a matter of fact, we're actually preparing 2 batches of cookies on New Year's Day, with the second batch using powdered Candy Caps instead of powdered Chanterelles. Hmm, wonder which will be the taste winner! If you're thinking that truffle salt is a bit of a luxury, a little too over the top or expensive, don't fret. The 3.5 oz. size generally sells for around $20-$25, depending on the brand, and will quickly become your "go to" seasoning, adding pizzazz to plain vegetables, dips, scrambled eggs, popcorn (Yes, popcorn - try this decadent treat sometime soon!) and now cookies. A word of caution: a little truffle salt goes a long ways, so apply it sparingly. You can always add more if you need to kick up the flavor a notch.